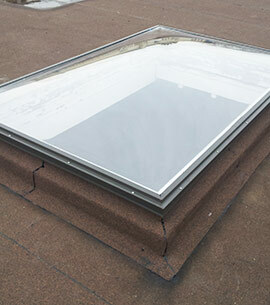 In need of professional, affordable and experienced commercial roofing in Toronto and the GTA? 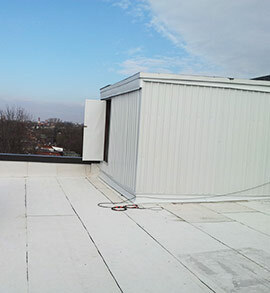 Sunrise Roofing is proud to provide businesses with a wide range of commercial roofing services across several cities in the Toronto area, working to meet their needs with quick, quality service at the right price. Established in 1987, our professional approach consists of listening to and understanding the expectations of our clients, ensuring they are educated on the best industry practices, and offering them the proper solution for their specific needs. We focus on providing the best results for our customers’ investments, as well as establishing long-lasting relationships that are based on trust between our contractors and the business owners with whom we work. 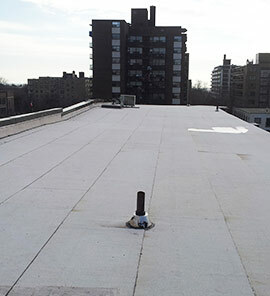 Wondering if we can help you with your commercial roofing project? Sunrise Roofing prides itself of our vast range of various commercial roofing services – in fact, it’s where our owner Paulino Silveira got his start and reputation as a skilled craftsman in the industry, and it’s also the fastest growing area of our business. As a family business ourselves, we understand how important it is to ensure every aspect of your company demonstrates a commitment to quality. That means a well-maintained place of business, and if age or weather are beginning to show on your roof, we can help. We approach each and every one of our projects with the belief that your business should not be inconvenienced by our services – rather, we believe our work should be done in a quick, convenient and clean manner without sacrificing quality. If you’re looking for commercial roofing services in the GTA, Sunrise Roofing is here to help you get the right results for the right price. Ready to get started? Contact us today to request a quote or call 416-255-1477! We provide service to all of the surrounding areas, below. © 2019 Sunrise Roofing Ltd. - All Rights Reserved.